Many people count on businesses to do their very best and perform well when it comes to serving their customers, whether it be in-store or online. Of course, every once in a while a business will have issues with customers. However, there are several easy and efficient ways to resolve these types of issues before customers become fed up and end up leaving nasty remarks about a business online on forums and etc. One of the best and easiest ways to prevent this is by using the Internet! The Internet has made it possible for a business to control and present their companies in the best way possible in order to impress and attract customers. It is also a great way to build up one’s reputation in order to put the best foot forward. Many businesses don’t pay attention to the responses of customers and don’t really care if their reputation has been trashed. They usually ignore this and continue just to work, but they end up not seeing any growth in their business. In order to see growth and improvement, it’s important to keep working on the business’s reputation because the better reputation presented, the more customers will come and more they will be pleased with the service from the company. However, managing a business’s reputation isn’t the easiest. It takes much planning and patience in order to see both its small and great positive changes. Overall, although it may take time, in the end, the great amount of positivity in the business will be noticed. There are many different and well-known ways to start the journey to business reputation management, but it takes much practice, preparation, and patience, as said before. Some of the easy benefits of reputation management are receiving a more positive business clientele, less negative reviews, closer customer and business relationships, and etc. However, there is a popular con to the subject: high expectations. When a business goes through reputation management and is doing very well, customers will expect much, much more from company and instead not expect shabby and weak work and service. These high expectations can be intimidating for a company, but with practice and preparation, the expectations could be easily met, but at the end of the day, it all comes down to the company and how they want their future to look and be like. Hard reputation management work will equal a greater and more promising future, but weak and inconsistent reputation management work will amount to nothing for a business and their future. There are several different ways that businesses can manage their reputation, like creating a professional business website, using social media, presenting their important brands and products to customers, creating weekly or monthly newsletters, and etc. However, it is not imperial that a business should use every single one of these methods and more because it could be overwhelming and cause confusion within a business and most likely lead to no improvement. The most important objective here is to find two or three of the best methods below that work great for a business. No matter what is done, it is important to keep in mind that all this work is being done for the customers, in order to please and attract them, which promises a great and successful future for the business. Therefore, here are 10 best and professional ways to achieve the best business reputation. Almost all companies should strive to make themselves known almost everywhere. This includes creating daily active profiles on websites like Facebook, Twitter, Google+, Youtube, Flickr, and many more, but also make sure to not make too many of these accounts because it can become cumbersome and tedious, which would make them quite annoying to deal with. Businesses that deal highly with technology should do this because those customers who spend much time online will see these websites and come crawling to the business. Overall, just find the perfect website to promote the business that are specific to the company and what it’s all about. There are dozens out there to partake in! Deciding to promote a business on a social media page is a big commitment, as it is a process that takes constant practice and action in order to work and be efficient. Using websites like Facebook, Google+, and Twitter is good; however, these websites need work! Don’t just let these websites sit there and be wasted. Use them to promote the business and reach out to new and possibly interested customers. It is important to constantly work on these websites, or they will be totally futile. Be sure to use them to contact other possible customers, give updates about the business, and maybe to track the amount of customers coming into the business or the overall morale of the business. These websites were created for people to use and enjoy it, so take advantage of it and use them to develop the business. In the end, it will make a great difference. Many businesses find it hard to attract attention of future and possible customers both online and outside. However, there are many great ways to overcome this obstacle and one of these ways is by simply including or presenting the business’s products or brands. Products or brands that people get to touch and get involved with attracting them and make them curious about what they are dealing with. Find ways to involve the products and give possible customers a hands-on demonstration or activity to get them involved with the business and eventually, sign them up for the company. On the other hand, some people create information articles and pages for their company’s products and brands, which online technological people can read and contact the business for more information. When it comes to who runs or manages the business, the leaders must be protected and represented well. Many people look up to these people, founders, owners, executives, and etc., in order to provide a great name and foundation for their businesses. Before many people decide to join or partake in a business, they look up who owns or manages the company in order to see who this person is, what they are like, and what they specialize in or do. If the manager attracts them, most of these people will join their companies. One of the best ways to represent these important business individuals well is by creating personal websites for them linked closely to the business or once again, using social media to present a great name. Overall, make sure to put the best foot forward to impress those who are watching. Many businesses love taking part in authorship, as it is known to be one of the most classic ways to start business reputation management or just business management or growth in general. This is mostly for those businesses who have founders or proprietors who are closely associated with the business’s identity. There are several websites who aid businesses in doing this. For example, one website who does this is Google. Google requires authors to be individuals; thus, the author tag must be associated with an individual Google+ profile, not with a business page. This individual page can be the managers or owners of the business. Using the author tag assumes you’ll be doing some constant publishing of articles or blog posts for awhile and if not, there isn’t a point to do use the tag. When many people think of blogging, they think it can only be used for people as a personal interest or activity. However, most businesses create and use blogs to attract people. People read and visit blogs mostly as a hobby, but while doing this, they can come across some business blogs, which would be possible attract them and lead them to follow the blog and contact the business for more information. When business blogging, it is important to make sure to blog about interesting and eye-catching topics about the business, like maybe the company’s products. Keep it interesting for the readers! Also, make sure to keep all posts positive and friendly, which aids in the reputation of the business and how their morale is viewed or perceived by others. It is always important to reach out to customers and listen to what they have to say when they have to say it. Customers always need to be pleased and watched when it comes to business because they determine whether the company will prosper or fail. Always make sure to be cordial and patient when responding to online reviews, questions, calls, and emails. Whether the customer is angry or happy, keep an open mind and never respond inappropriately, which will obviously turn off the customer and automatically give them a terrible perception of the company, which could possibly lead them to tell others about their experience and warn them to stay away from the company. Always be able to be flexible and open with the customers because if they feel like a company cannot do much or never has enough options or routes to go about, they might step away and be unimpressed with the service. Overall, remember to be open, friendly, and gentle with business customers, because, in the end, their opinion is really the opinion that matters. No company is perfect, so there will be mistakes here and there. 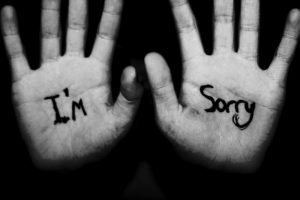 However, if these mistakes happen with or to customers, be ready to apologize. Customers always expect the best service from companies, but sometimes that does not happen, so just own up to any mistake or fail when or if the time comes to do so and don’t be afraid to do so. 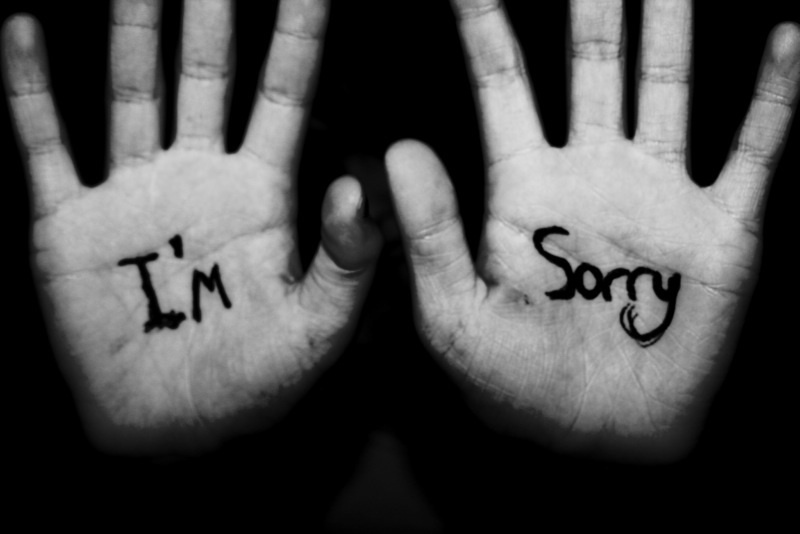 Customers highly appreciate genuine apologies from companies because it shows that you care. Being professional and quick to correct these mistakes will impress and show customers that you mean business. Overall, just be extremely careful in situations like these because they can really count towards determining a business’s reputation. This is very hard for some businesses to do, as they sucked into this. When businesses get involved in arguments, the company can come across as petty, unprofessional, and harsh, which is not the right route or path to go through because it just drags down the business and repels customers. These arguments mostly happen between the customers and a business. As said before, when getting heated with customers, be ready to apologize if they feel offended or like not enough is being done in a certain situation. Customers should always be treated well, so make sure to converse with them on a friendly and professional level and not just instigate things and cause an argument. Arguments like these can surely ruin business reputations and that is definitely not the overall goal here. Whether online or outside, keep healthy and safe relationships with the customers. 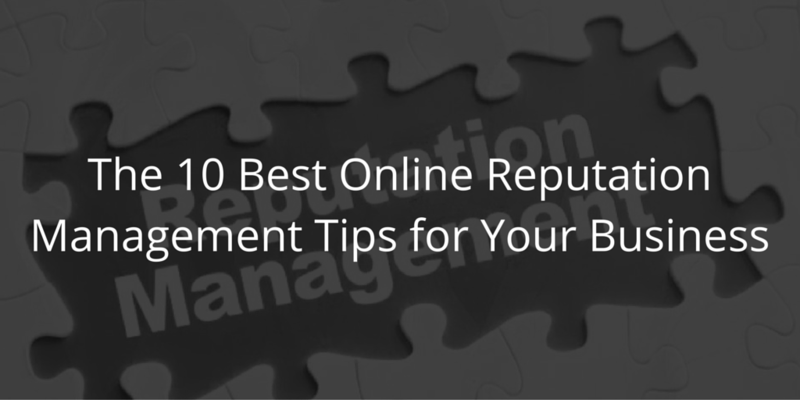 Reputation management is no joke and it requires a lot of dedication and patience to see results and growth in businesses. Whether you are dealing with a small, local business or a large and global business, it is extremely important to be hands-on with the business’s reputation because that is one of the first things people notice when they look at or turn to a business. Social media, personal websites, blogging, and etc. are great tools to have, but it all comes down to the time and effort put into those things. As said before, always put your best foot forward for those to see and be impressed by you and what you have to offer. Overall, following some of these tips will help to get a business into tip-top shape and pull together its reputation. It is all about how the business is perceived and known to be because having the best reputation will obviously attract people and lead them to join the business. Hard work and dedication is all that is needed to create a business whose future is sure to be prosperous and full. Of course not every day will be a perfect day. In fact, most people try to slam companies by frauding them or just in general, trying to bring them down. However, this can easily be defeated by using the Internet to be proactive in your online reputation management journey and following the tips above. Even if someone still tries to slam your business down, they won’t succeed most likely, if you follow some of these tips above actively. Those tips are almost like insurance for businesses. Just make sure to always handle any small or large problems that arise, whether it be harshly legal or just by simply communicating one-on-one with the problem and whoever is causing it. At the end of the day, do what is best for you and your business. Should I upgrade my HomeStars listing?